Over the weekend, Skullgirls developer Lab Zero showed off footage for their first DLC character, Squigly. From the video up on the Indiegogo, she’s being set up as a long-range character thanks to her parasite host Leviathan. Lab Zero states that if they can reach their goal in within the 31 days they have for the campain, Squigly will be a free DLC character for 3 months, then cost $5 for those who didn’t get her during the time alotted. They also revealed the first male character for the game, Big Band. He’ll be a charge character and can also do command grabs and anti-air moves. The team says that Mike wanted Big Band to “play like Q from Street Fighter 3 Third Strike, ‘but good’.” Big Band is slated to be the next character they’ll be able to work on if they meet their stretch goal detailed on their Indiegogo page. 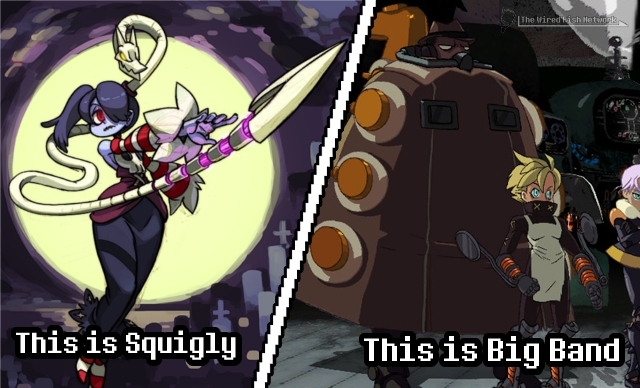 For those wondering what the hell a male character is doing in a game called “Skullgirls,” well I knew this well beforehand, it was only a matter of when. Back in New York Comic-Con 2011 after trying out Skullgirls at their booth, one of the devs was talking us about certain plans for DLC characters, including the possibility of male characters. He told us that they wanted the game to have an opposite male:female ratio compared when compared to the earlier Street Fighter games (or most fighters for that matter). So instead of having, for example, one female and seven male characters like in Street Fighter II, there would be one male and seven female characters in it. They reiterate this statement on their Facebook page. As with most crowdfunding projects as of late, some ire has been levied at Lab Zero for their choice. However things go deeper than Mike and Alex explain in their Indiegogo video. Further down the page they explain that some legal trouble affecting their publisher, Autumn Games, hampered efforts to create Squigly and develop the PC version. In May 2012, Autumn Games and Konami, the publisher and distributor of Skullgirls respectively, was sued by the City National Bank for fraud after Autumn failed to pay back their $15 million loan they took out for Def Jam Rapstar. The CNB sued Autumn for $8.5 million, citing “fraud, negligent misrepresentation, breach of contract, breach of covenant of good faith and fair dealing, money had and received, unjust enrichment, recovery of personal property, and punitive damages.” Because of this, all of Autumn’s assets are frozen until the case is settled. This also meant that funding for Reverge Labs was on hold, and any hope they had for an early settlement deal was nixed, resulting in the laying off of the entire team at Reverge Labs. 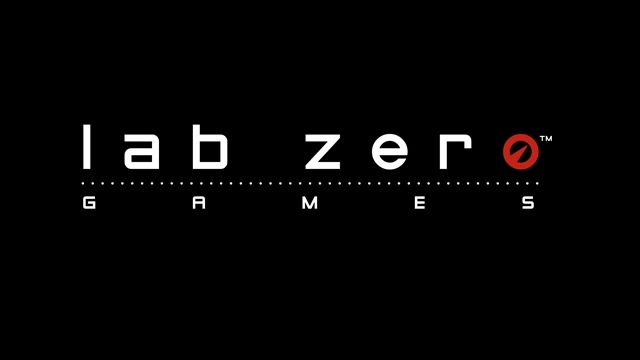 Mike Z and Alex Ahad formed Lab Zero Games and vowed to continue working on Skullgirls. This also meant working on the game for very little pay, sometimes no pay at all. Since Autumn is still having issues with the lawsuit, Lab Zero is seeking help through crowdfunding. So if you wish to help fund Lab Zero Games’ development of Squigly, you can head on over to their Indiegogo page. You can also hit up their forums for news regarding the impending PC and Japanese release of their game. This entry was posted in Gaming News and tagged Atutum Games, Def Jam, dlc character, fighting game, indiegogo, konami, Lab Zero Games, Lawsuit, Rapstar, reverge labs, skullgirls, Squigly on February 25, 2013 by Steven T..